West Windsor, New Jersey - Rockland's under 19 team raced well at the ISA Sculling Championships on Mercer Lake, ending the annual Earth Day with a bronze medal and advancing two boats to the petite and grand finals. The event attracts strong teams from Connecticut giving RRA an opportunity to race against teams they would not otherwise face. The morning started with the varsity girl's single sculls time trial which had 27 entries. Gabriele Welp IHA '19 finished fourth (8:25.07) and Chloe Young Ridgewood '18 finished eighth (8:52.50). The top seven advanced to the grand final and the next seven advanced to the petite final. 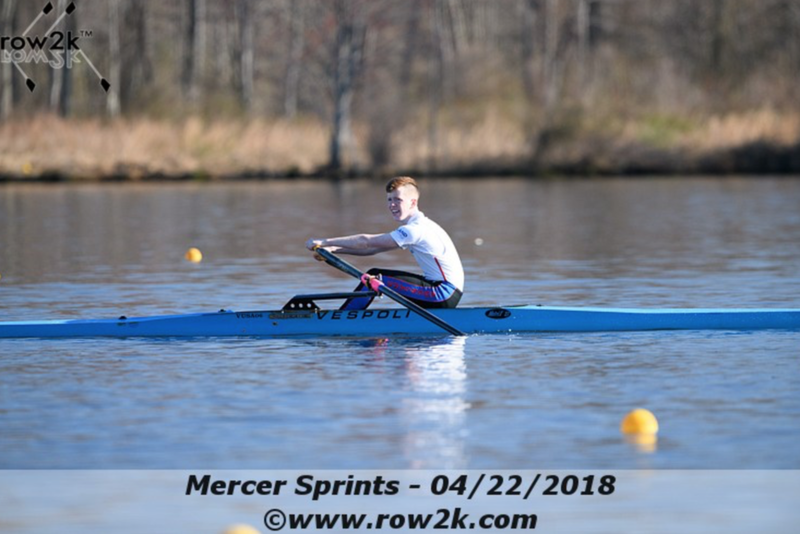 In the heat for the boy's varsity double sculls, three teams in the six-boat field finished within one second of each other in the battle for second-place to advance to the grand final. Being led by New Caanan (7:03.43), Anthony Rostek Tappan Zee '20 and Ryan Almond Clarkstown North '20 finished in third with a 7:11.04, closely behind Baltimore (7:10.77) and out-finished Oak Neck Academy by six-tenths of a second thereby turning the tables on the Oak Neck duo who bested RRA at last weekend's regatta. The boys were coached by Veli Etropolski. 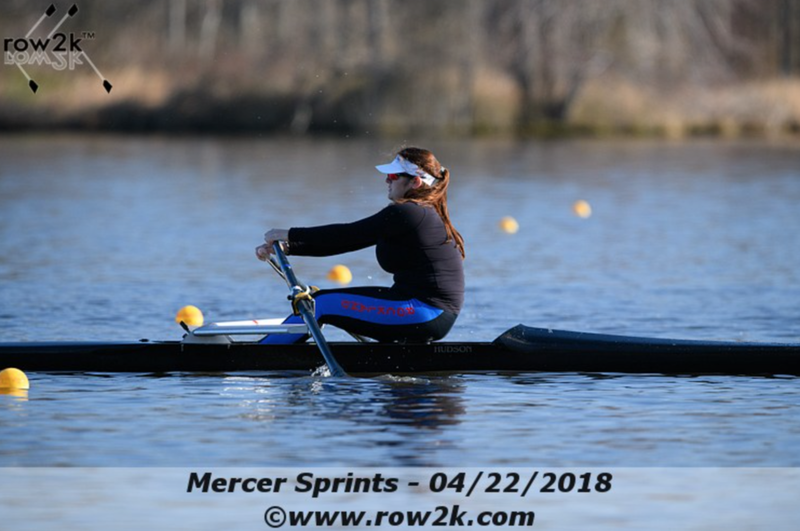 In the afternoon Welp raced again, this time in the girl's varsity lightweight quadruple sculls with teammates Caroline High '22, Michaela Davidson Clarkstown North '18 and Lucinda Carroll Nyack '19. The crew captured bronze in 7:35.72 in the seven-boat field behind Row America - Rye (7:33.81) and New Canaan (7:19.90) while leaving nearly 12 seconds between them and Connecticut Boat Club (7:47.40). The day ended for Rockland with the finals for the girl's varsity single sculls. In the petite final Young clinched second-place with a time of 8:50.42 behind Josie Coleman of Oak Neck Academy (8:43.02) and ahead of Dominique Marlin Andrews of Whitemarsh (8:50.72). In the grand final Welp finished seventh-place, her third race of the day, in 8:46.50. The grand final included Anna Matthes from Cambridge Boat Club who raced in last year's World Rowing Junior Championships (8:17.22).